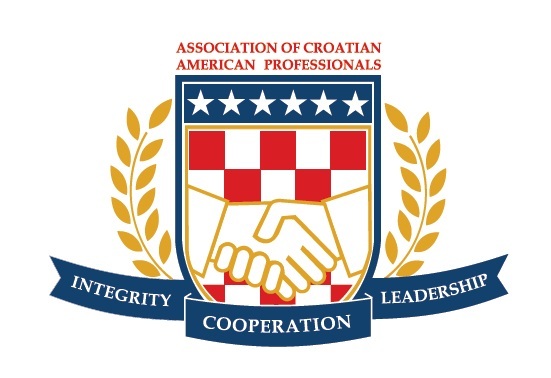 We’re very pleased to announce the formation of the Association of Croatian American Professionals. We are an association of professionals in the United States, and around the world, interested in building a lifetime of professional connections to support the business, networking, and social activities of our members. Our members represent all facets of the international professional community, such as scientists, doctors, engineers, attorneys, journalists, artists, business executives, accountants, etc. We also welcome professionals of non-Croatian heritage who are active in the Croatian community. Work with other Croatian–American organizations and Croatian organizations around the world on matters of common concern. Our Values: leadership, cooperation, and integrity. How to Join: Visit www.CroAmPro.com and click on “Join”. Membership cost is $20/year (students one-time $5).